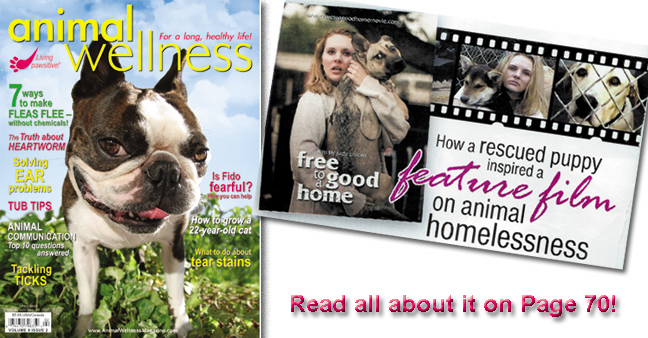 Read the FREE to a Good Home movie article in the April/May issue of Animal Wellness, on stands NOW! 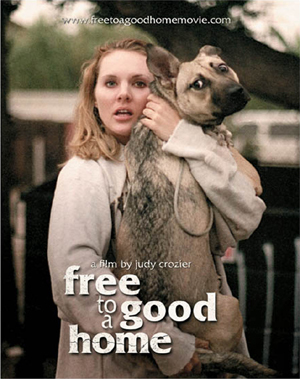 If you are not seeing any images go to www.fghmovie.com and open the PDF of the Spring 2007 Newsletter. We finally have a DV Deck! Thank you, thank you, thank you! to our special donors!!! This was one of our big fundraising goals! Now we are on task to complete our Final Edit of the movie. All we're missing is....you guessed it... editors! We are asking groups and individuals to please sponsor ONE DAY of editing. YOUR NAME will be listed on the end credits of the MOVIE! We are NOW seeking Editing volunteers! If you are living in the South Bay of Los Angeles (or willing to travel) we need editing volunteers to help us prepare the film for our Finishing Editor! You just have to be comfortable on a computer... there is no experience necessary! Contact us for more info on how you can help!